Take a step back in time with a classic holiday treat! 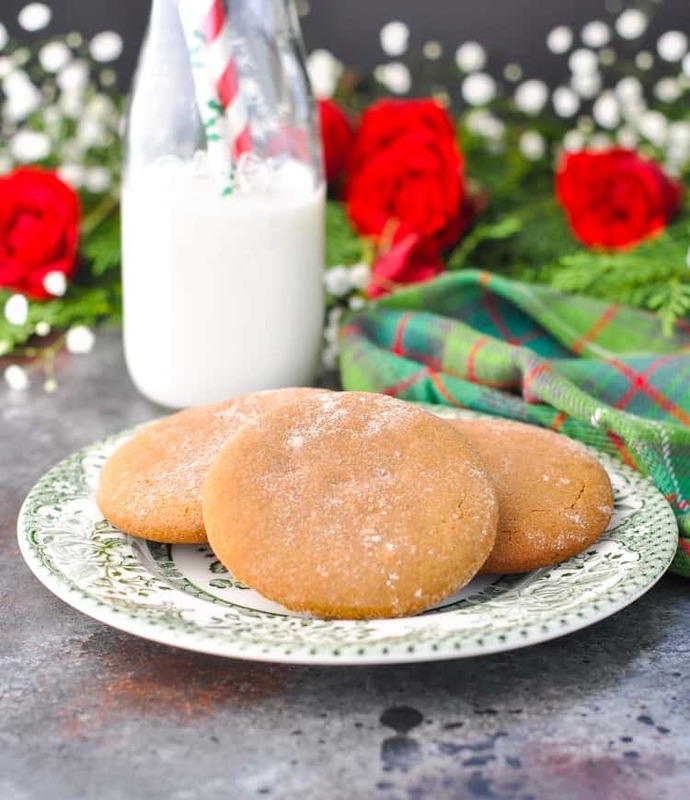 These simple and delicious Old-Fashioned Williamsburg Gingerbread Cookies have been loved for generations — and you will soon discover why! One bite from these gingerbread cookies brings back so many memories from my childhood! As a life-long Virginian, I’ve spent quite a bit of time in Williamsburg, and it’s still one of my absolute favorite parts of our state. If you want a real treat, visit Colonial Williamsburg during the holidays — it’s a truly magical place! An annual holiday visit to Williamsburg was a family tradition in our home, since it was one of my grandmother’s favorite seasonal activities. In addition to the beautiful Christmas decorations, the music, and the festive spirit, I still remember looking forward to the delicious Cream of Peanut Soup at the King’s Arms Tavern and the old-fashioned gingerbread cookies from the Raleigh Tavern Bakery. Oh, that gingerbread is such a treat! Even as adults, if my brother and I are ever in Colonial Williamsburg, we make a point to stop in the Raleigh Tavern to pick up some gingerbread cookies to go. There’s nothing better than the aroma of freshly-baked gingerbread cookies wafting through the kitchen, with a mug of warm cider on the side! They’re such a special, unique dessert. 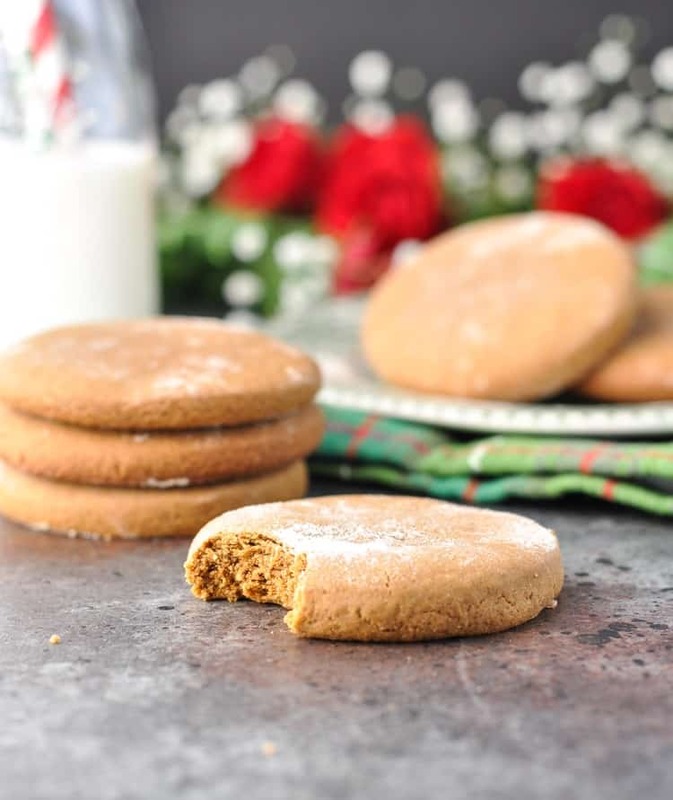 The gingerbread cookies are warmly spiced with a strong molasses flavor, but they’re not overly sweet and the texture is a perfect cross between a gingerbread cookie and a slice of gingerbread cake. 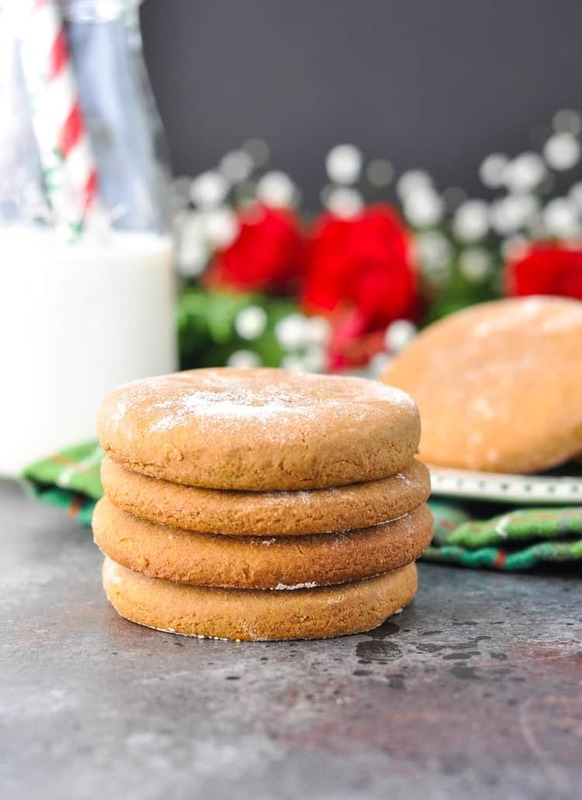 They’re soft (not crispy like some gingerbread cookies), and they’re thick, chewy, and “cakey.” In my opinion, they’re holiday dessert perfection. When I had a craving for the Williamsburg Gingerbread Cookies earlier this season, I finally decided to try my hand at making them at home. That way I can have them any time I need a fix — without actually traveling to Williamsburg! I did some research online and ultimately adapted the Raleigh Tavern Bakery’s original recipe. The end result instantly sent me back to my childhood! I even sent a box of the gingerbread cookies home with parents shortly after I perfected the recipe, because I wanted my folks to put the cookies through a taste test. Did the treats taste authentic? Did they remind my parents of the original? The final conclusion was “YES!”– these gingerbread cookies are the real deal! My dad told me that they’re the best cookies I have ever made (which is saying a lot, because I’ve made a lot of cookies over the years, and my dad has taste-tested just about all of them)! 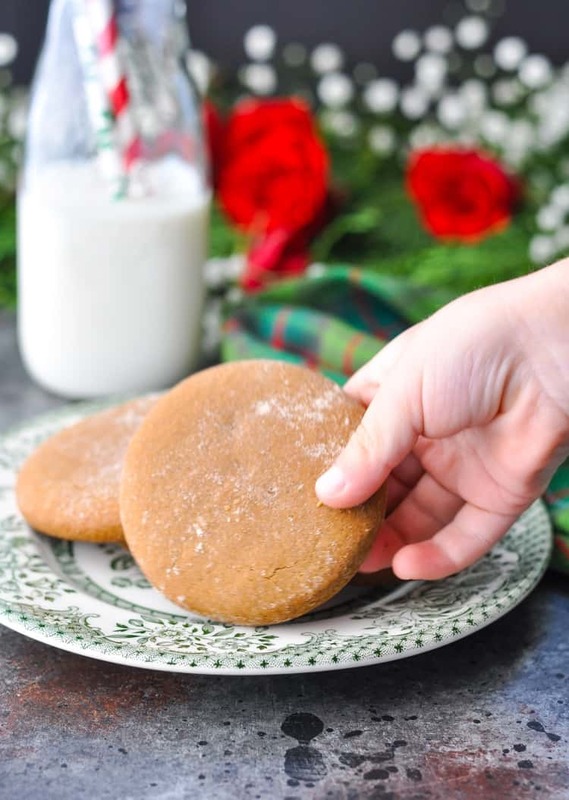 I use a round biscuit cutter to make my big gingerbread cookies (because that’s how they’re done at the Raleigh Tavern Bakery), but you can use any shape cookie cutter that you like. If you prefer a classic gingerbread man that you can decorate, these work well for that style too. I just think that simple is best! 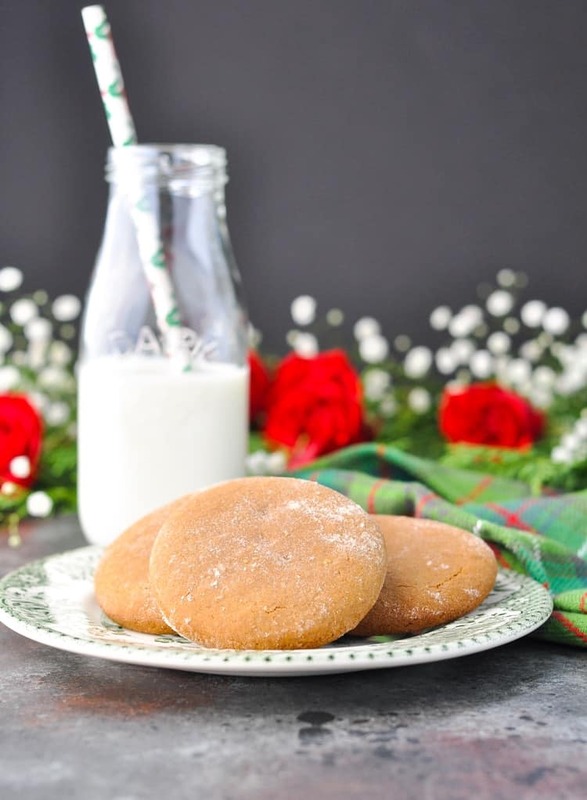 A light dusting of powdered sugar and a warm cup of tea will instantly show you why these Williamsburg Gingerbread Cookies have stood the test of time! I hope that you’ll give them a try this season and experience the magic yourself. It’s a holiday tradition that I’m happy to pass on to my own children! Preheat oven to 375 degrees. Spray cookie sheets with cooking spray or line with parchment. Set aside. Add sugar, ginger, nutmeg, cinnamon, salt, and baking soda in a large bowl. Mix on low speed until well combined. Add softened butter, evaporated milk, and molasses. Mix again until completely combined, starting on the lowest speed so that the liquid doesn’t splash out of the bowl. Gradually increase the speed until the butter and sugar are creamed together and completely smooth. Put the mixer back on low speed and add the flour one cup at a time, stirring constantly until the flour is completely incorporated. The dough should be stiff enough to handle without sticking to your fingers, so if it’s still too soft and sticky, add up to ½ cup additional flour, as needed. When the dough is smooth, roll it out to ¼-inch thickness on a very well-floured surface. 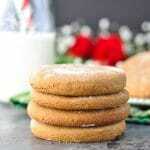 Use a cookie cutter or a round biscuit cutter* to cut the gingerbread into desired shapes. I used a round biscuit cutter with a 3-inch diameter. Place shapes onto prepared baking sheets. Bake for 10-12 minutes, or until slightly golden brown but still soft. Allow cookies to cool on the baking sheet for a few minutes before transferring them to a wire rack to cool completely. *I use a round biscuit cutter that measures 3 inches in diameter. 0 Response to "OLD-FASHIONED WILLIAMSBURG GINGERBREAD COOKIES"